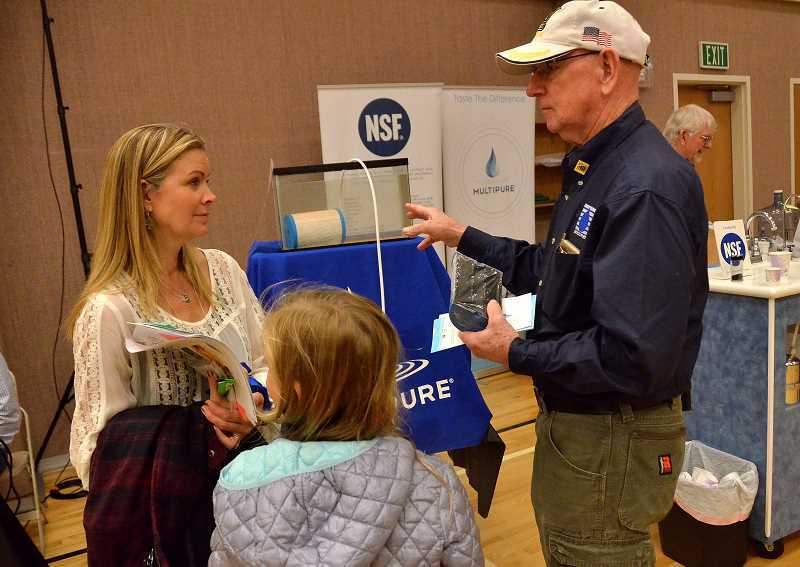 Standing beside an information booth at the annual West Linn Emergency Preparedness Fair, David Sullwold chuckled when he was asked about how much stockpiling his family had done for a crisis. "Minimal," he said. "We've got water, probably a week's worth of food at least ... and then we have flashlights. We do have an emergency ladder for our top floor bedrooms in case they can't get out. "So we did go that far." Indeed, Sullwold and his family were likely ahead of the game compared to many other attendees of the fair, which was held Sept. 13 at the Church of Jesus Christ of Latter-day Saints. 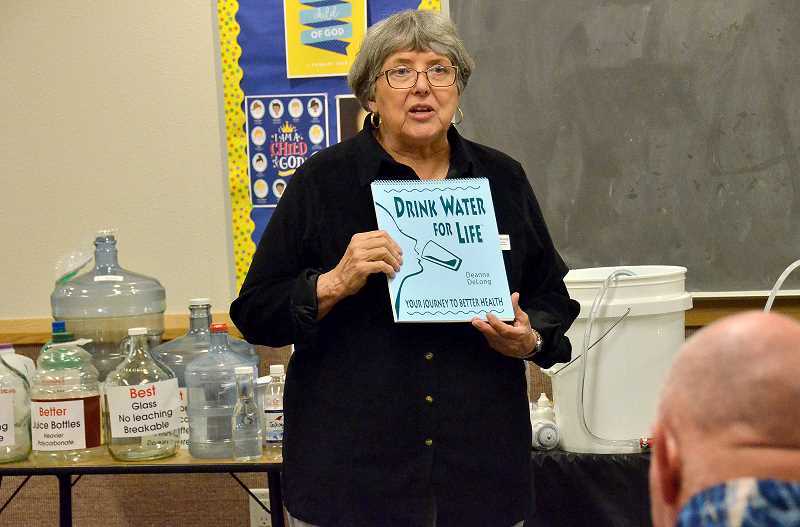 The event, in its fourth year, included presentations from Clackamas County Resilience Coordinator Jay Wilson — who covered 'Earthquake 101' — and Deanna DeLong, who shared information about having safe water in an emergency. 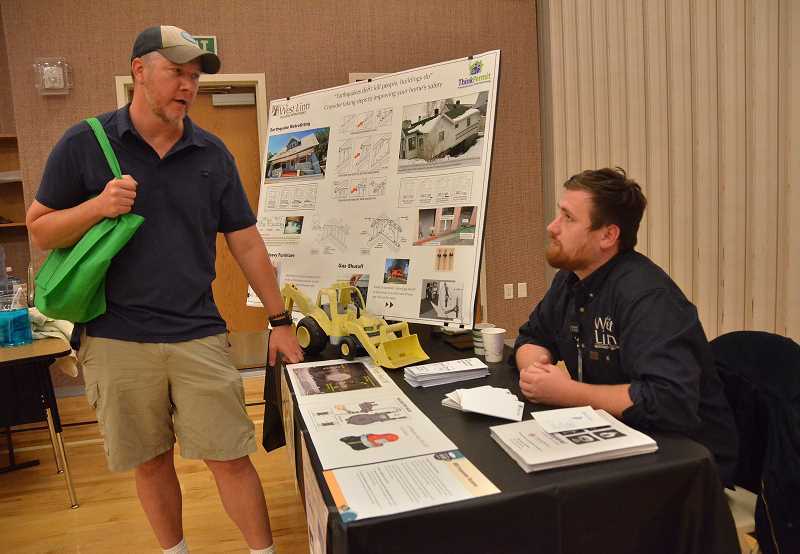 Attendees were also free to mill about an array of booths with representatives from OSU-Cooperative Extension, Clackamas County Emergency Management, Tualatin Valley Fire & Rescue and NW Natural, among others. Sullwold said his family's preparatory measures began almost two decades ago, when Oregonians were fixated on a different impending catastrophe. "We kind of got prepared for Y2K a long time ago," he said. "We had a lot of encouragement to be prepared in case everything went down, so we had about two weeks of stuff prepared at that point. It kind of dwindled and became less of an issue over the years." But with scientists predicting a devastating earthquake in Oregon caused by activity in the Cascadia subduction zone, Sullwold decided to renew his efforts. "The main thing I'm concerned about, more than anything, is an earthquake — not being able to get around," Sullwold said. He was comforted to learn that his home is located in a relatively low-risk zone as far as landslides, but still came away from the fair with some ideas to improve his inventory. "I hadn't thought about the restroom situation," Sullwold said. "We do have a portable toilet ... I need to make sure that's accessible. More water is probably going to be helpful. ... At some point I might get longer-lasting food, but that's probably at the bottom of the list." Attendees Lori and Mike Anderson already consider themselves well-prepared for an emergency, but they still received valuable insights. "We found out that we're in a good area (with regard to earthquake risk)," Lori Anderson said. 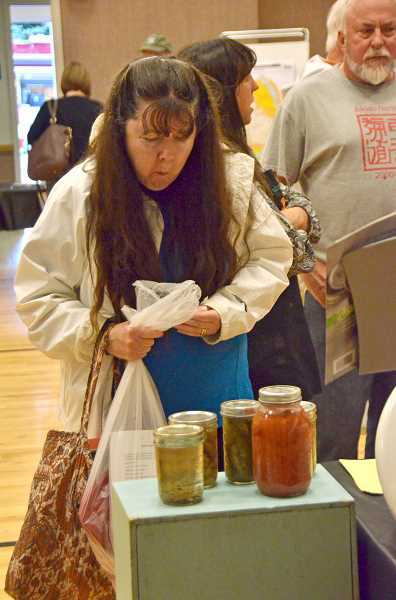 "And we got good information (about food) from the OSU Extension Service." Currently, the Andersons store food, water, emergency supplies and camping gear at their home. "Lots of canned food, dried food — way too much stuff in the freezer," Lori Anderson said. "We (also) keep supplies in our cars." Mike Anderson attributed his "survivalist" attitude to his childhood in Utah. "We're not Mormons, but we think like Mormons," he said. The LDS Church encourages members to practice self-reliance, including preparation for disaster. "I grew up in Utah and they kind of think that way, and it made a lot of sense. Plus, bad stuff happens and you've gotta be ready." How does a police officer prepare for a possible disaster? West Linn Officer Jeff Halverson said most of his preparation was spurred by his wife. "She's going to save me," he said. As for supplies, Halverson said his family has two cases of bottled water and about a week's worth of canned food. "My wife has a secret stash of cash that she won't let me touch, we've got all of the phone numbers and passports together," Halverson said. "We're pretty basic for what we've got ... all of this takes up space. I don't have a lot of room."